IEEPA allows the president to seize or freeze any asset or block any transaction if the president deems it to be necessary in the case of a national emergency. The problem is that “national emergency” can be defined broadly to include trade imbalances, lost jobs or any other economic adversity. 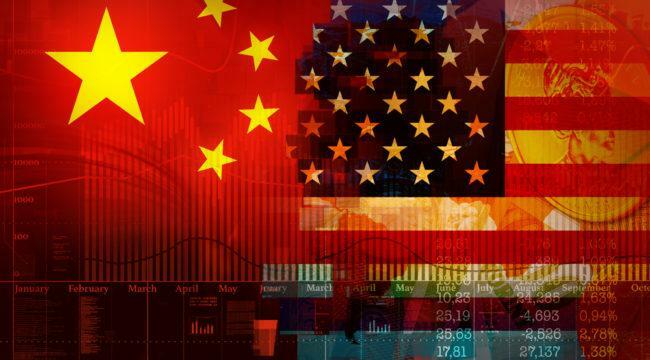 President Trump may now use IEEPA to block a variety of Chinese deals in the U.S. in retaliation for Chinese theft of U.S. intellectual property. President Trump may not appreciate the extent to which China will go to protect its interests. Trade negotiations are not the art of the deal, as far as China is concerned. Their goal is national survival. China’s economy is not just about providing jobs, goods and services that people want and need. It is about regime survival for a Chinese Communist Party that faces an existential crisis if it fails to deliver. The overriding imperative of the Chinese leadership is to avoid societal unrest. But China is less stable and less powerful than it appears on the surface. Its apparent stability is more of a mask concealing internal divisions. And it is afraid that its hold on power is weaker than many in the West suspect. Rather than showing the power and unity of the Chinese government, Beijing took a different lesson from Tiananmen Square. As my colleague Kevin Massengill has pointed out, it revealed China’s political fragility. We all know about the massacre. But what is not widely known is that several army officers refused orders to crush protests throughout China. “I’d rather be beheaded than be a criminal in the eyes of history,” said one general commanding forces in the Beijing military district. They were not the only one who felt that way. As Kevin has noted, armored divisions of 10,000 soldiers allowed themselves to be stopped for days by crowds of students and ordinary citizens who brought them food and water while explaining why their cause was just. An estimated 3,500 PLA officers disobeyed orders to crush protests. Many Chinese army officers were reportedly executed. Others were demoted, or faced court martial and imprisonment. The Tiananmen Square Massacre, Kevin says, is an example of why and proves that the position of the Chinese Communist Party is more precarious than is widely understood, even now, almost 30 years later. Growth in GDP is conventionally defined as the sum of consumer spending, investment, government spending (excluding transfer payments) and net exports. Most large economies other than oil-producing nations get most of their growth from consumption, followed by investment, with relatively small contributions from government spending and net exports. A typical composition would show a 65% contribution from consumption plus a 15% contribution from investment. China is nearly the opposite, with about 35% from consumption and 45% from investment. That might be fine in a fast-growing emerging-market economy like China if the investment component were carefully designed to produce growth in the future as well as short-term jobs and inputs. Up to half of China’s investment is a complete waste. It does produce jobs and utilize inputs like cement, steel, copper and glass. But the finished product, whether a city, train station or sports arena, is often a white elephant that will remain unused. What’s worse is that these white elephants are being financed with debt that can never be repaid. And no allowance has been made for the maintenance that will be needed to keep these white elephants in usable form if demand does rise in the future, which is doubtful. Chinese growth has been reported in recent years as 6.5–10% but is actually closer to 5% or lower once an adjustment is made for the waste. The Chinese landscape is littered with “ghost cities” that have resulted from China’s wasted investment and flawed development model. This wasted infrastructure spending is the beginning of the debt disaster that is coming soon. China is on the horns of a dilemma with no good way out. On the one hand, China has driven growth for the past eight years with excessive credit, wasted infrastructure investment and Ponzi schemes. The Chinese leadership knows this, but they had to keep the growth machine in high gear to create jobs for millions of migrants coming from the countryside to the city and to maintain jobs for the millions more already in the cities. That’s exactly what has happened. China has already flip-flopped and is easing up on financial reform. That works in the short run but just makes the credit bubble worse in the long run. China may soon resort to a combination of a debt cleanup and a maxi-devaluation of their currency to export the resulting deflation to the rest of the world. It is probably the best way to avoid the social unrest that terrifies China. When that happens, possibly later this year in response to Trump’s trade war, the effects will not be confined to China. A shock yuan maxi-devaluation will be the shot heard round the world as it was in August and December 2015 (both times, U.S. stocks fell over 10% in a matter of weeks). I hope President Trump knows what he’s getting into.